Amen!! This is a wonderful analogy and well said! I ‘Liked’ your blog 🙂 I hope someday you will link-up your posts at DRAH. Blessings! Thank you, Jacqueline. I usually do link up at DRAH and I appreciate your writing as well. Thanks for visiting! Jen, I am so glad you’ve linked up at moretobe.com for Transformed Tuesdays. The Biblical Truth you’ve captured is wonderful. We’d love it if you’d also post the button on your sidebar or in the post, or a link back to Transformed Tuesdays! Thanks! Thanks, Elisa. I have the button posted on my Favorite link-ups page. There were too many to fit in my sidebar. Is that acceptable? If not, I can include a link at the bottom of my post as well. 🙂 Thanks for stopping by! 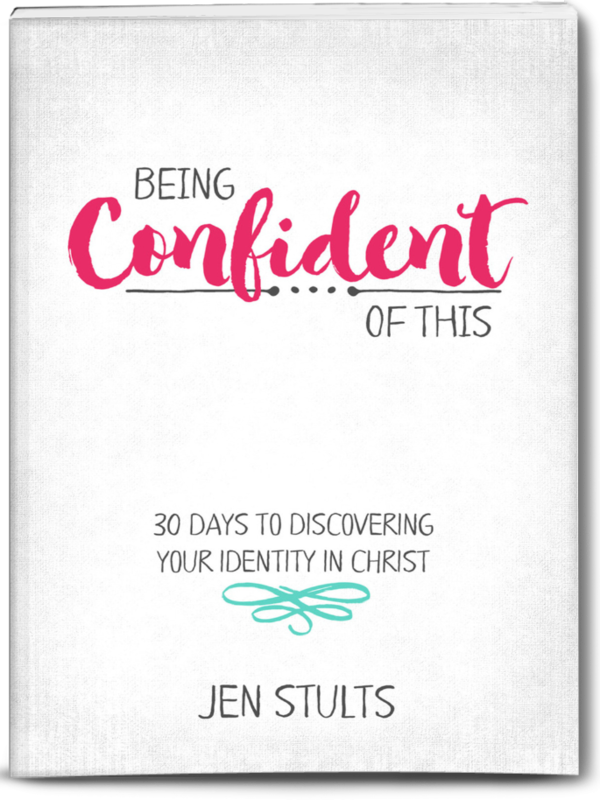 I’ve incorporated the practice of silence and solitude in my daily time with the Lord for about the past year and it has really enriched my spiritual life and given me the peace to face my crazy hectic day, Jen. I’m so glad you’re highlighting and encouraging this practice and reminding us of the difference between a “fast-food” mentality in our Bible study time. It’s so easy to fall into that in our busy society, but so very necessary to push back the rush and sit at Jesus’ feet. Thanks so much for sharing! I’m currently trying to get back into that good habit after letting it slip for a while. My main problem is consistency. 🙂 But I know the great value that lies in it because I’ve been there before. 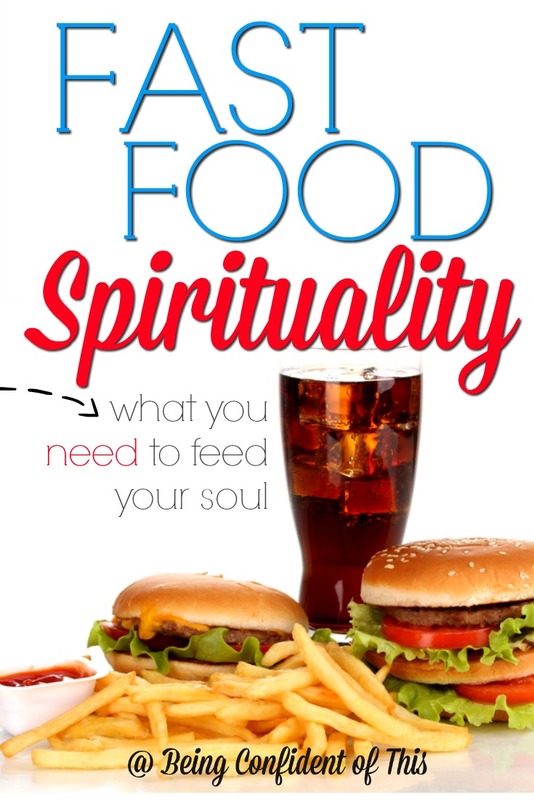 I don’t want to be settling for fast-food spirituality any longer. Sitting at Jesus’ feet should be my number one priority! Thanks for stopping by. Ah, yes, Dolly. So can our families – how true that is! Thanks for stopping by. This is so good!! I love the comparison that mamas can so easily relate to! Pinned it to my inspiring board. Thanks for linking up this week! Thanks for pinning, Rachel! When my husband included this idea in the end of his sermon, I knew I had to blog about it. Because it challenges and convicts me! I’m glad you stopped by today. I find it convicting myself, Gisela! 🙂 I’m glad you stopped by today. Wonderful and very convicting post. I love “Mary Moments in a Martha World”… that is SO true! This world is so busy, life is just go, go, go. It makes such a difference to start the morning out in God’s Word and surrender each day to Him. Just like fast-food is just a quick, not-so-healthy fix, so is fast-food spirituality – it works for a time, but doesn’t help you to grow deeper in relationship with the Lord. Thanks, again, for stopping by! I’m glad the post resonated with you. I’m so glad it spoke to you! I will definitely tell my husband so that he can be encouraged as well. Thanks for stopping by! Setting aside time with the Lord is so important each day before we meet our family. I remember days when I would just have finished my quiet time and one of my children would have issues. Who knows how much worse my response would have been if I had not spent time with the Lord. Then, there were days when it just didn’t happen and who knows how much better my response would have been if I had met with the Lord privately first. 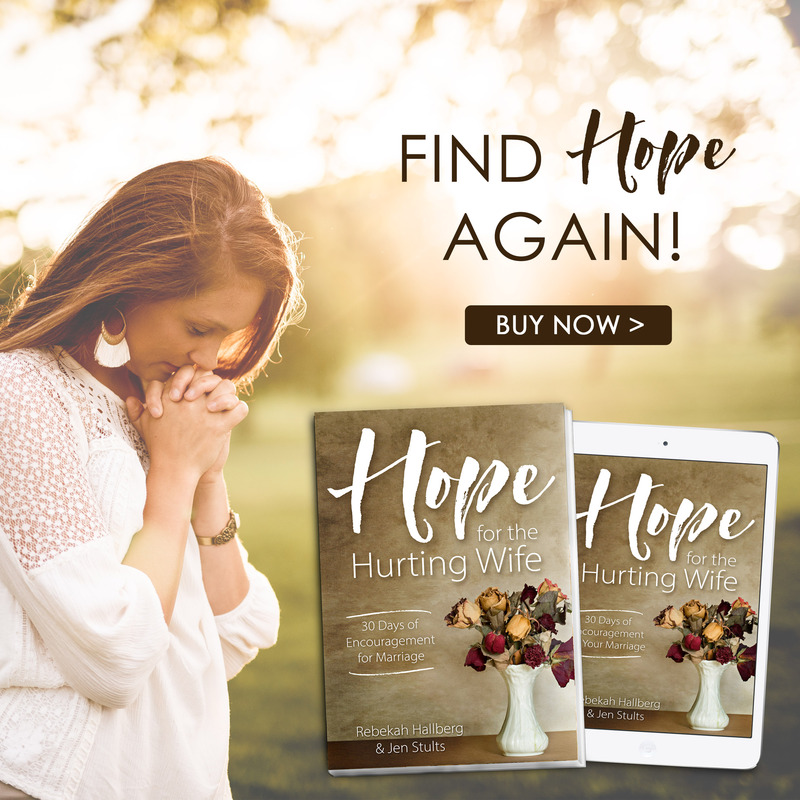 For years I hardly ever miss my quiet time during the week but I find that time shortened or sometimes just doesn’t happen when my husband is home. I also often think about how much time we can spend on the internet and how we ought to make sure we spend time unrushed with the Lord as if the Bible is His blog to us. Thank you for sharing with us, Judith. I know my responses definitely hinge on whether or not I’m actively abiding in Him. 🙂 And yes, even good things like blogs and children and husbands can distract from our pursuit of Him. Consistency is key – and that’s an area I’m still working on. Now that I’ve put the challenge out there, you all are like my accountability partners – it’s great! I wonder if our technical devices are doing a terrible dis-service here. 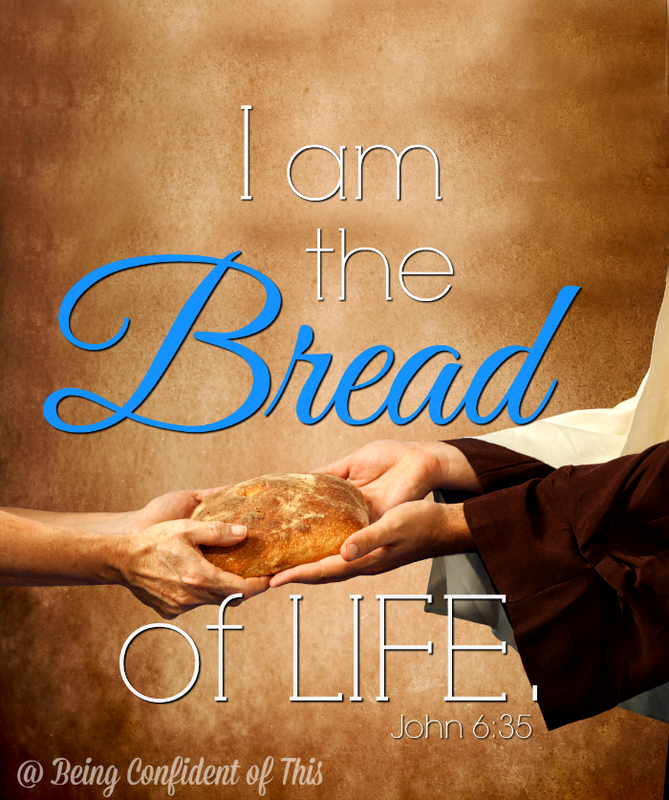 It’s so easy to catch a spiritual fast-food snack at your favorite blog or Facebook page. I remember when the only way to read the Bible was to pick up the Bible. I’ve been trying to do that more lately instead of using an electronic device; and, for me, I think it helps. Thank you for this very timely post. I’ll be sharing it.